Blogging is fun.It’s challenging to learn to do it all . Sometimes in the mad rush of researching, writing content ,and promoting my posts, I was overwhelmed. 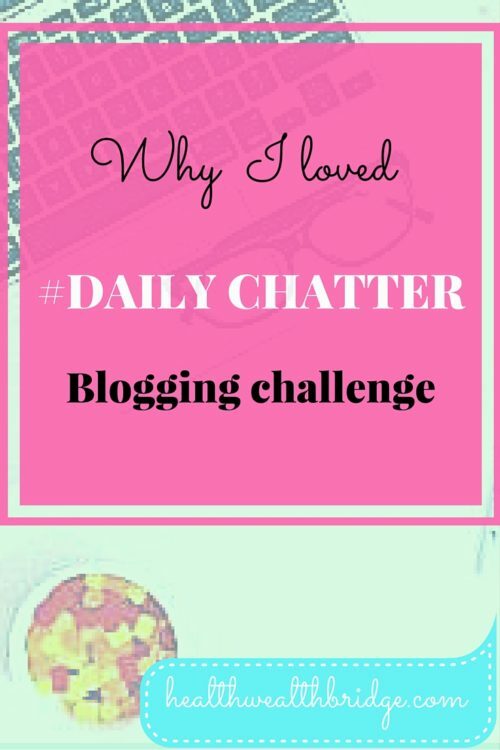 So I thought the #Daily chatter challenge for 2 weeks at the blogchatter would be too much to handle. But what’s a challenge ,if it’s not difficult . If you really want to push your limits at blogging it’s great to have friends who are in the same boat . The beauty of blogging is this effortless friendship across time and distance . Sharing thoughts ,promoting and encouraging other blogger friends. Some people may say only bloggers read and promote other blogs. That may or may not be true.But it’s a win win for all. Blogs are your own self-publishing paradise. It’s your way of a bit of digital real estate.Digital immortality. It’s great if you want to practice expressing your opinion. It’s great as a side hustle. It’s magical as a source of income for stay at home moms. Overall it’s the best way of making friends online. It’s a great way of helping others in your own way.Wherever you are in your blogging journey, you can help someone.I have been helped by pro bloggers like Amy Lynn Andrews. The blogchatter made this community feeling enormous.That’s my takeaway from this challenge .This sense of belonging . My Alexa rank improved because of this push by the #Dailychatter. Many will laugh at my feeble attempts.But when I compare , my current results with 2 months back.It’s a pleasant surprise. I realised how much I could push myself. Sometimes that’s enough to keep you going when you are just starting out. I realised I want to post my articles 3 times a week.This will give me time to do research and also continue with the pace this challenge gave my blog. I will be tweaking the backend stuff and promote my posts on the other 3 days. Sunday is my creative break and brainstorming day. Over the next few days ,I will be updating the posts which are doing well. I also would finally publish my Resource page.I waited almost 2 years to do this .That’s because I really wanted to see what works for my DIY blog before committing. My blog is about health-wellness and my journey as a mompreneur.I am not a work from home mom.But sometimes I wish I had that choice. That was the main reason I wanted to explore when I started blogging.I have heard the stories of many bloggers making the full-time income from home.But whether a non-technical mom could do it was anybody’s guess. #Indiblogger platform :I love this Indian bloggers directory. They are great at helping blogger promote,earn and learn.Signing up for Indiblogger has helped me become more interactive easily. Making connections is so much easier. They are great at helping you promote and spread the awesome posts you write.Most new bloggers don’t have the advertising budget.So this will help you tremendously. This link party happens every Friday.Just like the blog chatter , they help you link up your posts and are very interactive. Why have I written about blog promotion tools? The Internet is a vast ocean of information. You are skimming the very top layer.There are no arrows directing readers toward your blog. There are millions of blogs written everyday.How will your reader find you?How will you help others if they can’t find you?I felt really sad looking at the few views my posts used to get. That’s why I started actively participating in these communities . 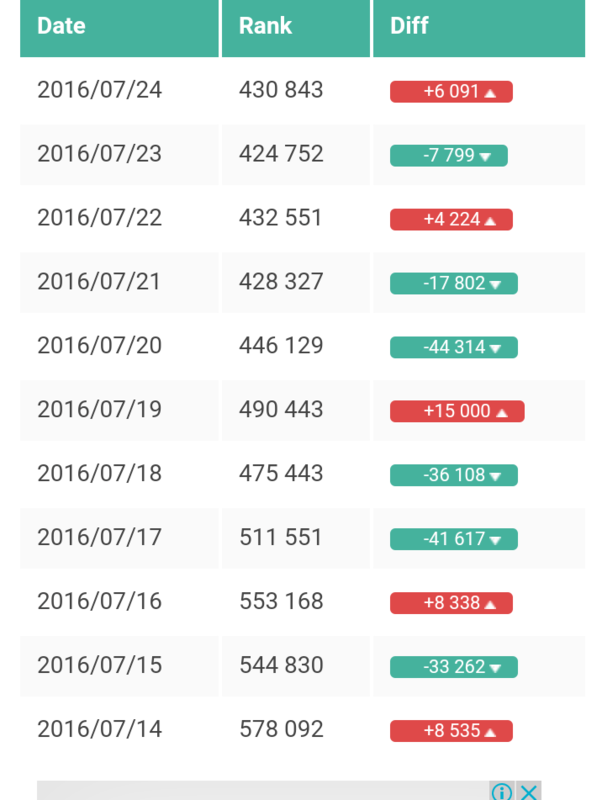 Showing below my traffic before and after using these blog promoting platforms. What’s your goal with your blog? Looking forward to more chattering at the blog chatter. What else will blog chatter challenge us with? Have you participated in any blogging challenges? What’s your takeaway from it? Yes Amrita,through this blogging platform only I have found a friend in you. 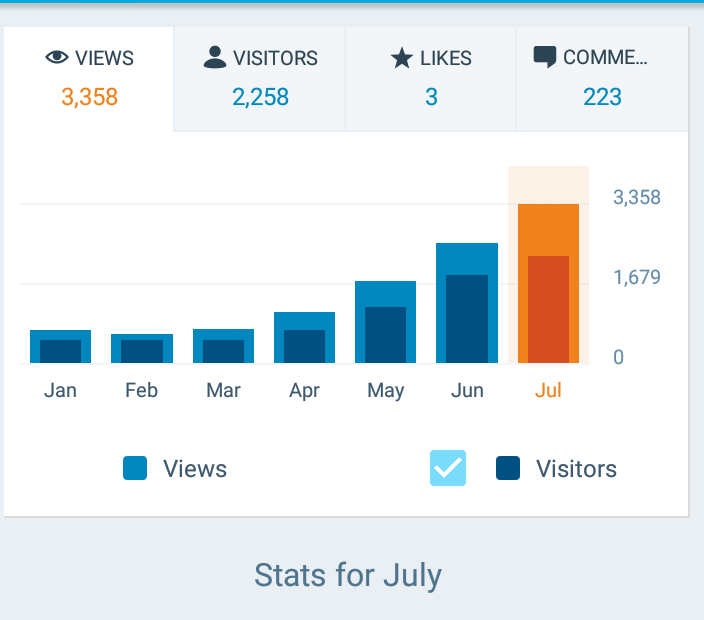 My blog views have increased because of reading, commenting and sharing. Thanks Geethica .Glad your blog views have improved. Blogging is fun .But it needs a good promotional activity too. That’s the hard part. Glad you shared this, I am going to look into a few from mine as well.